Well, in terms of story and entertainment, color can mean the difference between a blockbuster hit and an off-tone miss. Just ask Man of Steel director Zack Snyder. Granted, there were other story elements that kept fans from embracing this generation’s Superman, but his decision to piggyback on the success of Christopher Nolan’s Dark Knight series caused him to make a major miscalculation on what it was that made those films successful. Superman, as a hero, has always been an inspiration: a symbol of hope and unity. Batman has also been a symbol, but one that takes on a darker and more somber tone. That look was reflected in Nolan’s Dark Knight movies in which the color palette used in the film reflected the grittiness of the Gotham streets. However, trying to apply that same tonal shift to Man of Steel is a huge mistake. Where Batman moves in the night, Superman soars in the sun. Hell, he’s literally powered by the sun. The look and feel of a Superman movie should be bright and colorful. Not to say you can’t have your darker, more dramatic moments, but the consistent use of a muted color palette across the entirety of the film makes it, overall, feel like something less than it should be. 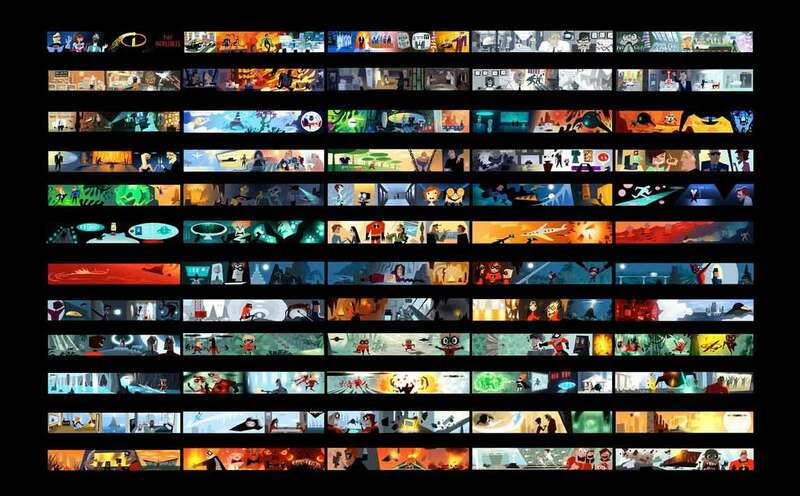 Pixar has a system of setting up a “shot palette” for the directors in which each scene is thumb-nailed with the overall color palette used for each scene. 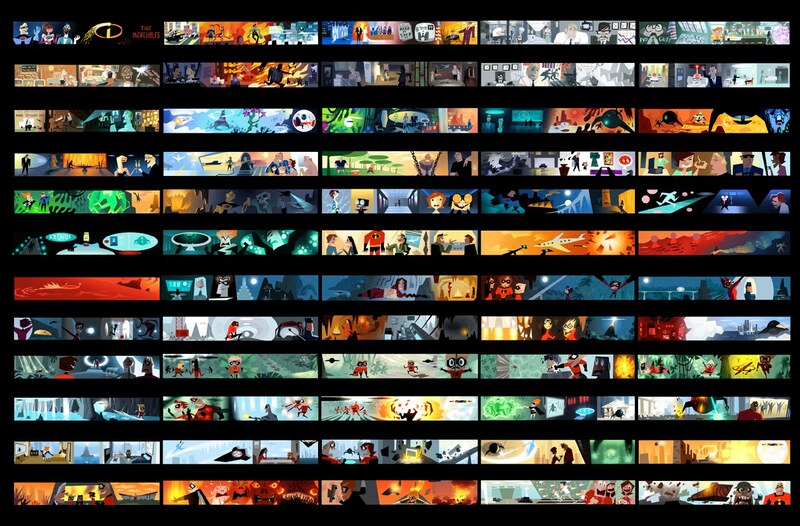 In this example from The Incredibles you can, at a glance, see the tonal shift between eye-popping fight scenes, rich family moments, and the dull monotony of Bob’s office existence. Each scene is carefully plotted in visual shorthand using color to set mood and tone. The game Skyrim also takes its tonal patterns from its bleak setting. Sometimes set in a frozen, mountainous wilderness and on down to lush pastureland, the game maintains its feeling of living in a land under the shadow of dark forces by keeping the game world dismal and dreary. But would allowing natural color into the world disrupt the gaming narrative? Would bright, natural colors just put it in the realm of so many other RPGs? How much of Skyrim’s atmosphere is dependent on the color? Take a peek at this mod that gives Skyrim a more natural color palette. Does it detract from the overall feel? Personally, I feel it enhances the beauty of the world and gives it more life. Color can be so much more than “set dressing” in stories, and when used well, it can almost become a character unto itself. And when used poorly, it can bring down the most mighty among us in a way no arch-villain can.